If you’re a parent in the Atlanta area who has considered hiring a nanny to help care for your children, no doubt you have reservations. You want a nanny you can trust explicitly, someone who is a good fit for your family, an individual with excellent references, experience, and who will put the welfare of your children first. 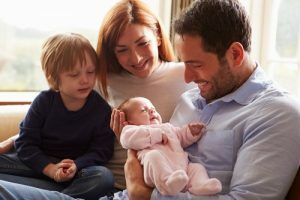 Sure, you can post an ad online indicating your needs or find an individual online advertising his or her services – but there are some very important benefits in hiring a nanny through an agency! Enjoy peace of mind knowing your nanny has been thoroughly screened, and is highly trained. Most agencies perform background checks to ensure the nannies they staff do not have criminal records or other issues in their histories that could make them potentially dangerous for clients and their children. Training is also vital, as not everyone has the skill to care for children in terms of providing first aid when necessary, planning activities, meals, or communicating at a child’s level. In addition, the development of children and their safety are other critical areas parents are concerned about. You’re not sure exactly what (or who) you’re looking for in a nanny. When it’s your first time to secure the services of a nanny, it’s hard to know what you want. Sure, you know someone who’s going to be involved in your children’s lives should be good with kids and that you’ve got to hire help, but that’s about the extent of it. In a perfect world, you’d love a real-life version of Mary Poppins (and who wouldn’t?) but families are all unique – and who would be the ideal fit for your family’s needs? One more benefit of working with a nanny agency is that you get personalized attention, as a placement consultant works to get to know you and your family in order to determine the most important attributes in a nanny for the unique needs of your family. You’d feel better with a back-up plan. What happens when the nanny just doesn’t work out? If you hired her on your own, you’re stuck until you find someone else – and who knows how long that could take! When you work through an agency, you have a “safety net” of sorts. Should a nanny not be the right fit for your needs, the agency will find another nanny who may be more suitable and they may also be able to provide you with a temporary nanny until the proper one is found. Ultimately, you want your child or children to be in caring, capable hands whether it’s bath time, meal time, or time for play or reading. When a happy, well-adjusted child is your top priority, consider hiring a nanny through The Hazel Agency you can trust to go beyond your expectations.